As many of our readers know, we are big believers in people continuously trying to improve themselves and their situations. From a career standpoint, a result of these improvements is often a higher salary. Last year, around this time, we looked into NBA player salaries and found that they weren’t as crazy as you might think. 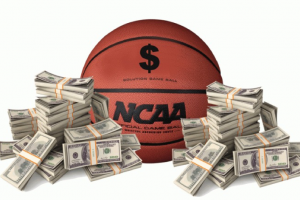 With March Madness in full swing, we thought we’d take a quick look at whether players should be compensated over and above their school scholarships, to see if the same were true. How much money does college basketball generate for the NCAA? Although the NCAA generates revenue from ticket and merchandise sales, TV rights are by far their biggest source of income. 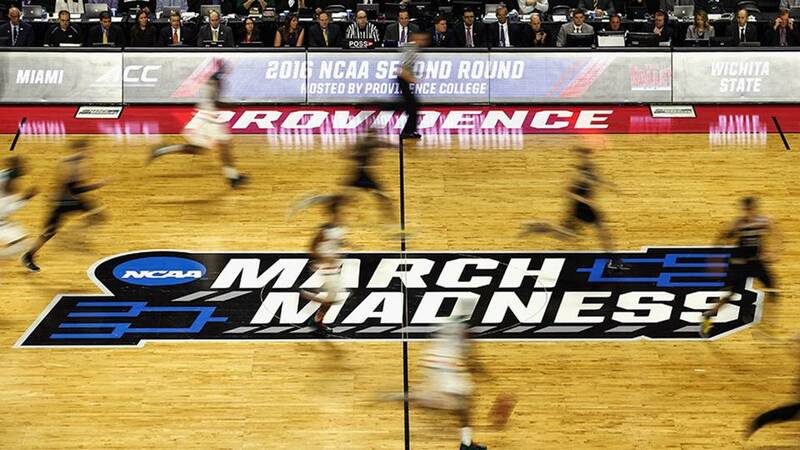 Last year (2016) CBS and Turner Broadcasting signed an $8.8 billion 8-year extension with NCAA Tournaments for the TV rights to air the March Madness games. This extension is on top of the previous agreement from 2010 in which the NCAA and CBS/Turner agreed to a 14-year, $10.8 billion deal that will run through 2024. These deals mean that the NCAA makes between $750 million and $1 billion dollars a year from TV rights alone. 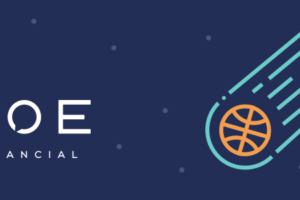 The idea is that some, or most of this money is distributed to the teams themselves – using a complicated formula based on how many games each team plays within a conference – and is used to benefit players. Opinions vary on just how much of the money is shared – according to the NCAA they use 90% of the funds for this, however, some reports claim that as much as $800 million is left on the table and not used to benefit athletes. On average, the NCAA awards 13 men’s basketball scholarships a year, at a cost of $38,246 per scholarship. A total just shy of $500,000 per school each year With 231 competing schools, this works out to around $115 million per year. Using simple math, they appear to spend roughly 12% of their annual revenue on scholarships. Is this a fair portion? Let’s compare it to the NBA: since 2006 NBA players have received between 48.5 and 51.7% of net revenue each year. Based on that, it seems extremely low. So the NCAA is making bucket loads of cash, mostly from TV rights, and they don’t seem to be offering scholarships in line with the average NBA salary-revenue split. So they’re not doing too well it seems. But, it isn’t quite the NBA, so if we stick with just the scholarships, are they enough of a benefit to players considering the hype and media attention of the tournament? One major issue here is the huge discrepancy between how much each individual school makes from the March Madness tournament. The total revenue for each of the 231 competing schools was $9.15billion in 2015, but the NCAA revenue isn’t distributed evenly. 24 schools generate over $100 million each while the remaining 207 schools generate an average of only $32 million each. That’s a pretty big gap. 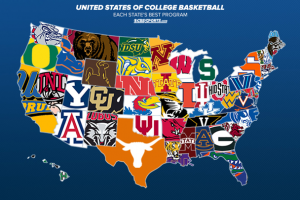 Teams like Villanova don’t make as much as say Kentucky or Duke. However, players may choose those three colleges because they want to win and they see a potential to move on to the next level. A scholarship at Villanova will be a significantly larger piece of the pie than for a school at the high end. 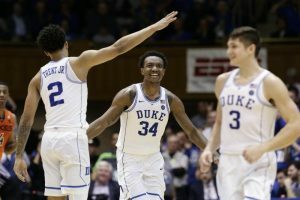 This article shows how the split between schools for future NBA players isn’t necessarily across the top schools, which makes you wonder that if we added salaries to the mix, could this discrepancy in revenue negatively affect the small schools and skew the competition by drawing talent away and creating super teams? 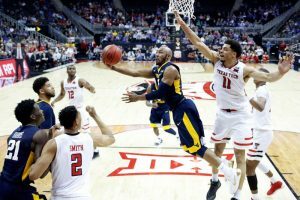 If college players were to be paid in addition to their scholarships, would it swing the power significantly towards the teams with more revenue? Would it create an uneven playing field? Or would it be the fair way to compensate the players for the TV rights they generate for the guys upstairs? As is often the case, answers are not clear-cut. Current scholarships don’t seem to be in line with NBA norms, but is that the only money reaching the athletes? This depends largely on just how much money the NCAA is holding on to each year, which seems to be a contentious issue. Is there a middle ground? Could a bonus be the solution for each year enrolled to keep players from leaving school prematurely? Ergh enough math… Let the madness continue. If you enjoyed this post, check out NBA Player Salaries – As Crazy As You Think?